Of course it's hard for me to believe that my baby is nine years old and I've been doing this Momma thing that long. 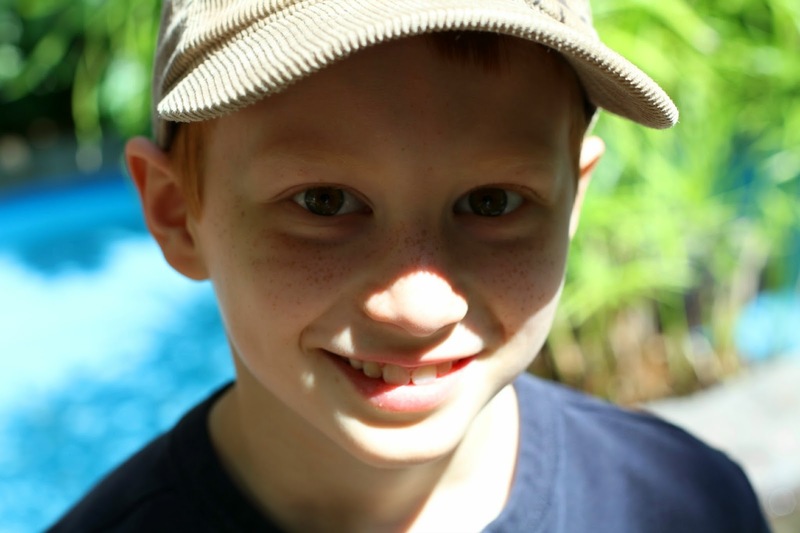 We had such a great time celebrating his birthday last weekend and I wanted to share some of the party ideas that helped give it that extra touch. 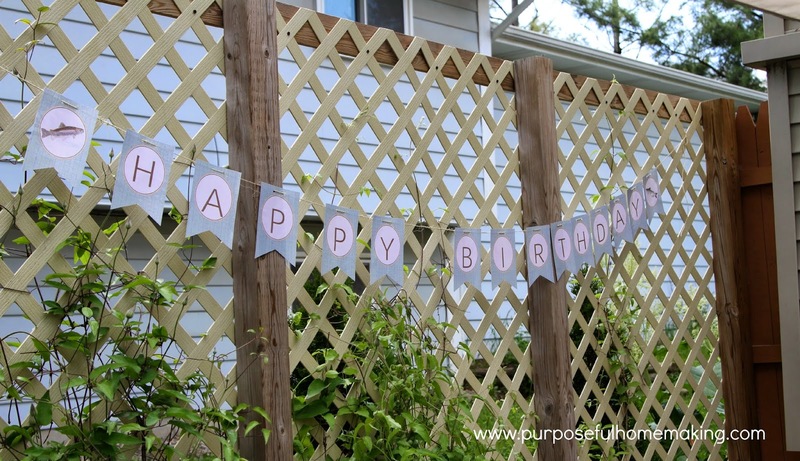 I worked with Nina from Everyday Enchanting for the party printables. Our son wanted a fishing themed party so we went with the Gone Fishin package. What I loved about this the most was that it was a DIY download. This allowed me to customize as necessary, but it also gives me the freedom to edit the printables in a few months when it's our younger son's birthday. Because, being the fishing boy that he is, he also wants a party like this. It's a win-win for me! It's going to save me so much time getting ready for the next party because there are only a few things I will need to switch up. The fact that I laminated most of the printables will also save me money. I kept the food simple, but also theme related as much as possible. Since there were a lot of kid-sized cousins at the party, I served fish sticks, which they loved. I wanted a dip besides ketchup (because every kid likes to dip food in ketchup) that the adults would also enjoy. I found THE BEST tartar sauce recipe on pinterest. Be sure to grab the recipe from my Paleo Board. The recipe is super easy and tastes amazing! It is definitely one I'll be using again. As a few other side dishes, we did carrots and ranch and I tried a new paleo-friendly coleslaw recipe. 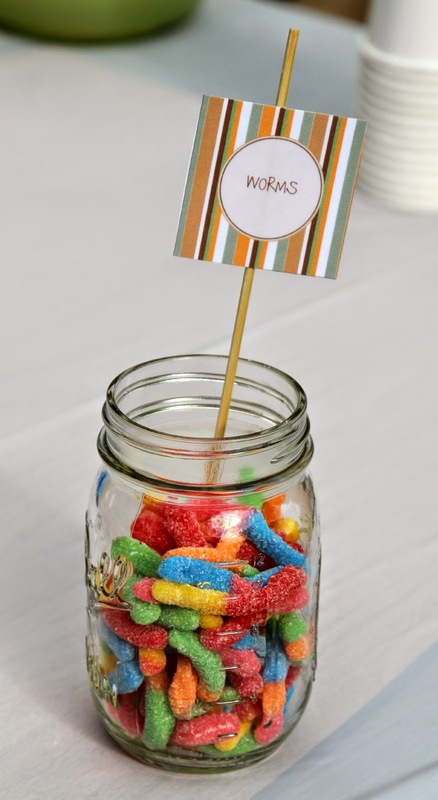 For treats for guests, I jarred up some edible Lures and Worms! 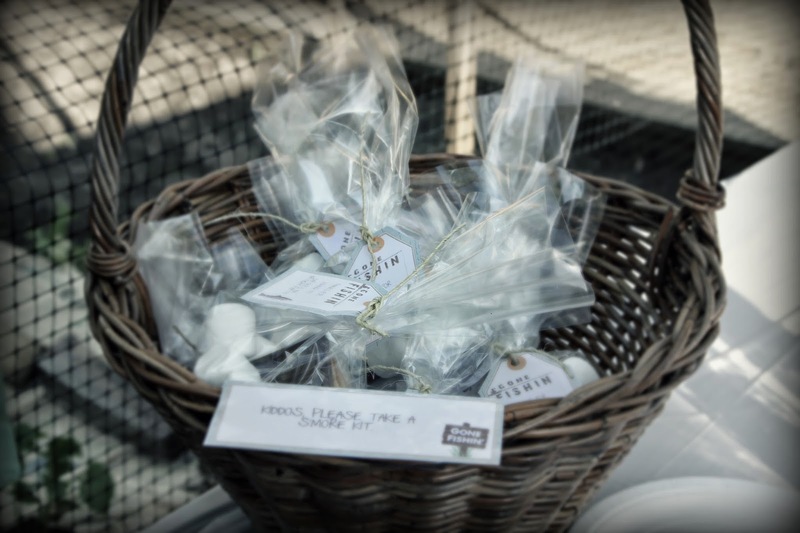 I was very pleased with how the party favors turned out. 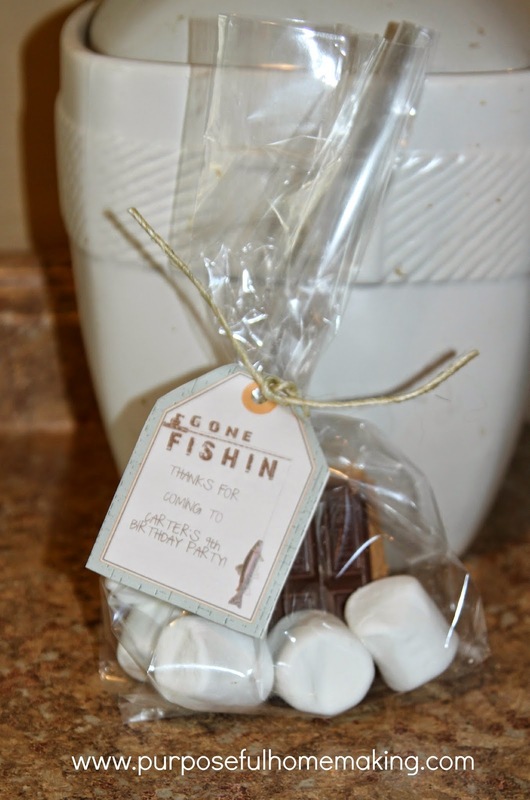 To go with the outdoors/fishing theme, I gave each child a S'more Kit. I LOVED the printable from Everyday Enchanting that gave it the perfect finished look. 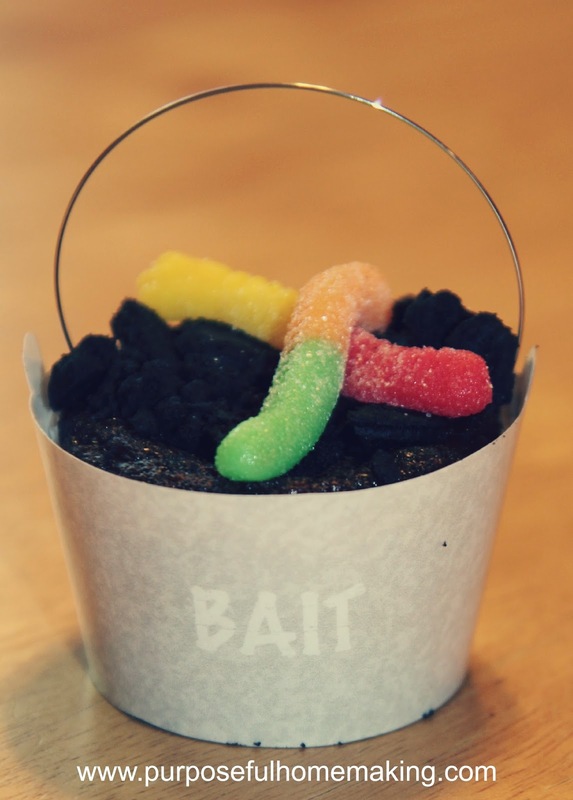 I was also completely inspired by Everyday Enchanting's idea for a Bait Cupcake. These were ultra easy to make and inexpensive as well. I used craft wire for the bucket handle, crumpled up "oreo" cookie on top of a chocolate cupcake and added a couple of worms for good measure. My kids thought these were the coolest cupcakes and really enjoyed them. I made a few grain free ones for one of our sons and used this incredibly awesome recipe from Against All Grain. You must try them!! Our son had such a great time at his party and I love that I was able to so easily create a fishing themed party just like he wanted. Thanks Nina from Everyday Enchanting for making it possible! And be sure to take a look around her Etsy Shop for other fantastic party packages that won't break the bank! 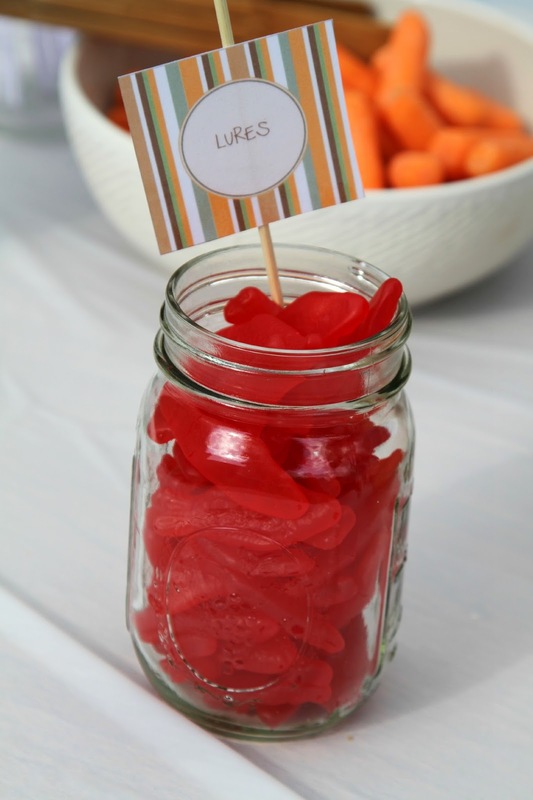 For more Fishing Party ideas, be sure to check out my Pinterest Board. I hope you will find inspiration on there that will help you with your next party.